Back by popular demand, El Rico Habano is not only the first cigar created by Ernesto Perez-Carrillo Sr. in his factory in Little Havana - it is also the richest tasting. In 1970, Cigar Master Ernesto Perez-Carrillo Sr. created El Rico Habano, the first line of cigars rolled at his factory in Miami's Little Havana section. 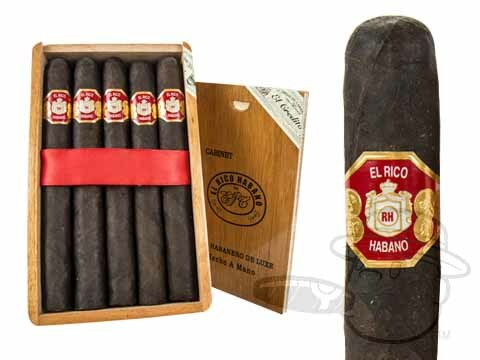 The reaction to this full-bodied smoke was terrific, and El Rico Habano became a sought-after selection among seasoned smokers. 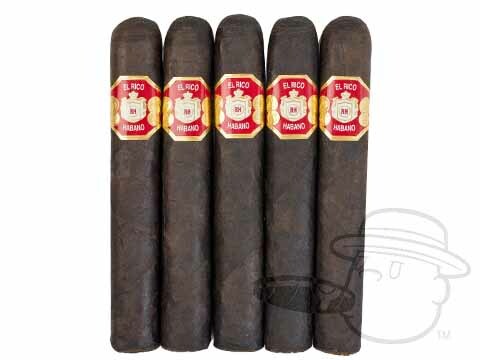 Although a tobacco shortage in 1994 forced El Rico Habano to cease production, it was re-introduced by Ernesto Perez-Carrillo Jr. in 2001 upon the return of Nicaragua's superb tobacco crop. Today, "The Rich One" is back in its original full-bodied taste and strength. Each El Rico Habano starts with carefully selected long filler tobacco from Nicaragua. It's given a rich Nicaraguan binder, wrapped in a specially aged sun-grown leaf from Ecuador, and then aged again in a Spanish cedar room to maximize its deep, rich flavor. "The Rich One" describes perfectly what you may expect from this exquisite cigar - a bold, rich, one-of-a-kind flavor from start to finish.